Display your stunning photos, because they’re worth it! Here at Foto Factory in Bromsgrove, we can turn your precious photos in stunning works of art that you can display in your home or give as gift to a special someone. Our stretched photo canvases are very popular and come in a range of sizes, to suit all needs, but if you’re not sure how a photo canvas will fit into your home, have a chat with our in-store team and we’ll be able to advise you. 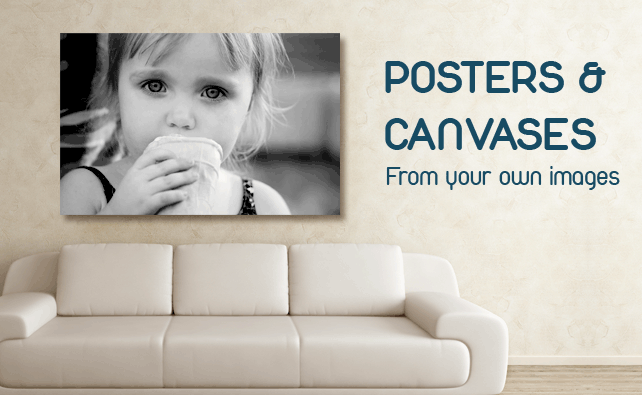 Canvases are the perfect choice for decorating the home and office so feel free to pop by when you’re next on Bromsgrove high street, and discuss your canvas printing needs.